October is designated at “Connected Educators Month” (initiative of the Office of Educational Technology at the U.S. Department of Education ) which has sparked reflection on my own journey of becoming connected. Five years ago, I was a high school English teacher embarking on a new a district shift; an educational environment with ubiquitous technology access for students and staff. Every staff member, district wide, along with all students in grades 9-12 were given laptops. My first year as a 1:1 educator was a “normal” progression in learning the educational device (laptops) and taking small risks of incorporation into daily routines. The second year of teaching in a 1:1 environment shifted my pedagogy and curriculum from substitution to redefinition. (SAMR model) Spurring this shift can be attributed largely to relationships built by becoming a connected educator. No longer was my classroom limited by time and space, instead my students were creating and collaborating with others around the globe. Participating in meaningful and relevant opportunities that allowed for deeper understanding of content, engaging and relevant project based learning, and understanding their unique voice and contributions to an online global community. 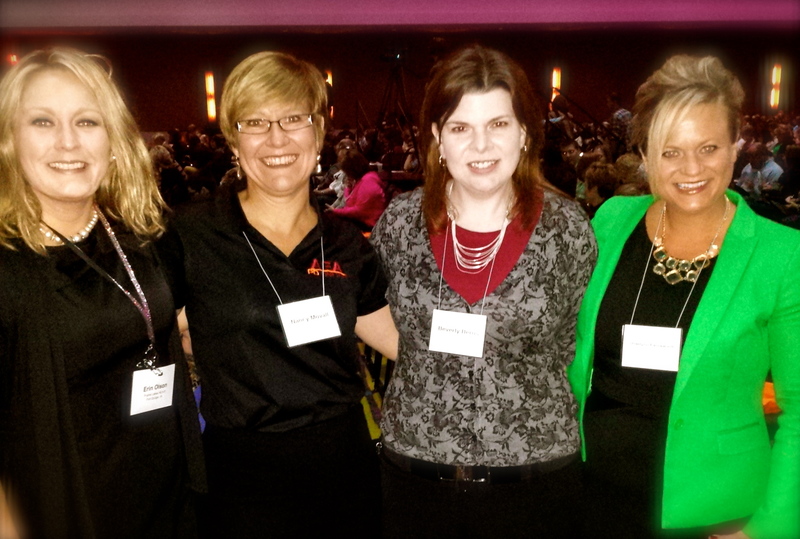 Last week I reconnected with Erin Olson , Bev Berns, and Nancy Movall. Erin, Bev and I initially met on Twitter. We connected our classes and met virtually before paths crossed later that year, providing a face to face opportunity. The blogging community we formed was one of my earliest and most meaningful collaborations as an educator. Our students were forming a virtual writer’s workshop, honing communication and collaboration skills. Students wrote and responded weekly to each other, participated in many local and national events (NYTimes Learning Network Blog) and even added their voice virtually as Problem-Finders, not just solvers, to the ITU Telecom World 2011 Meta Conference in Geneva, Switzerland. The love of writing, and the value of connecting from the blogging community is still communicated to me through student posts, tweets, and messages! Our collaboration turned to the state level when we were introduced to Nancy Movall, a forward-thinking leader whose motto, Better-Together to do the Right Work for Kids, has become a guiding compass for many of us! Nancy’s vision, which is still being shared, evolving, and refined is providing the best opportunities for students through the sharing of blended education via technology (this is over-simplified of course, but a short explanation). 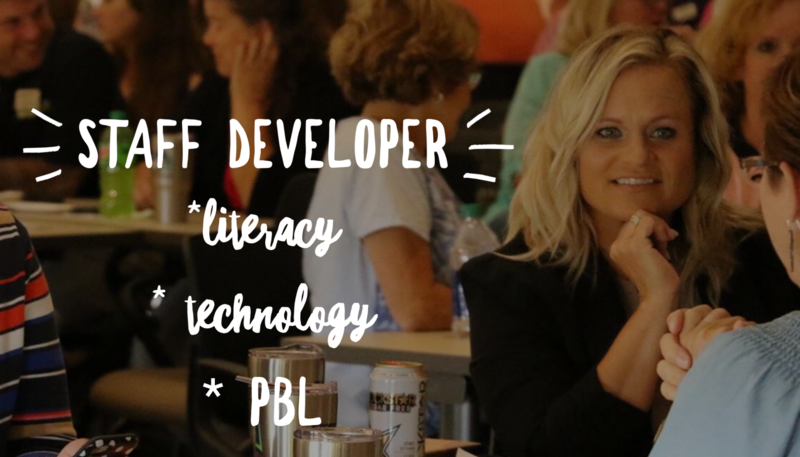 Iowa’s Communities of Practice provided opportunity for us as educators to share our passions and talents to develop blended curriculum for Iowa Student! Nancy believes in the power of a collective group and has championed for me personally countless times! Forever grateful! Without drawing the obvious parallels between the Goals and my personal examples, the success of student learning found within my own classroom was fostered and enhanced by “getting connected”! Content understanding, transformation of knowledge to demonstrate one’s own learning, and searching out connections via social media to support their personal learning were the immediate student transfers. 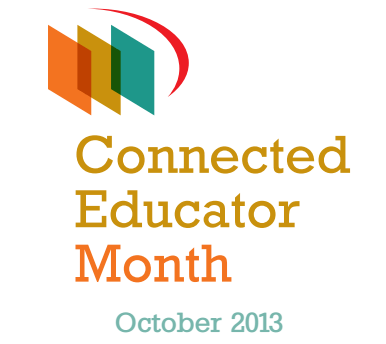 October may be designated as Connected Educator Month, but building connections, sustaining relationships, and promoting the power of online collaboration should be part of every educator’s daily life! And if you already are a Connected Educator, do your part, get more educators connected!